Do you choose your clothes by how they look or who designed them? Now think about films. You probably choose to watch a film based upon who directed it or who stars in it, but have you ever considered who’s responsible for how these film look? Who takes care of the majestic images before you? While in my previous two posts I put two film directors I admire in the limelight, i.e. Stanley Kubrick and Denis Villeneuve, my recent visit to the EYE film museum in Amsterdam and their current exhibition on acclaimed director of photography Robby Müller opened my eyes to the importance of the cinematographer. While the film director will describe the desired feel and look of his/her film, it’s often the cinematographer who actually creates the images that lock into your memory. Prior to my museum visit I presumed Robby was German, based on his surname, so you can imagine my delight when I found out that Robby Müller is actually Dutch. (I’ve never been so aware of my Dutch nationality since I moved to the UK.) Müller was born in Willemstad, Curaçao (Netherlands Antilles) in 1940 and spent his early years on Indonesia (former colonies of the Netherlands) before his family moved to the Netherlands in 1954. In the early 60s he went to the Netherlands Film Academy in Amsterdam and worked on his first film in 1963. Shortly afterwards, in 1969, Müller first worked with Belgian filmmaker Wim Wenders. In the following years to come, Müller would shoot most of Wenders’ oeuvre. Polaroid of a film set with technical notes. Throughout his career, Müller has worked with some of the greatest arthouse film directors such as aforementioned Wim Wenders, but also Lars von Trier, Jim Jarmusch and Steve McQueen. He’s responsible for some of the most iconic film moments from celebrated films like Breaking the Waves (Lars von Trier, 1996), Dancer in the Dark (Lars von Trier, 2000), Down by Law (Jim Jarmusch, 1986), Dead Man (Jim Jarmusch, 1995), Barfly (Barbet Schroeder, 1987), 24 Hour Party People (Michael Winterbottom, 2002) and Paris, Texas (Wim Wenders, 1984). The exhibition at EYE mainly focuses on Robby’s work with these four collaborators, with whom Müller often worked with on several occasions. There are four main spaces, each dedicated to one of the collaborators, and in each of them you can view clips from the films, read notes, and see interviews with the film directors on Robby Müller. The funniest anecdote came from Jim Jarmusch who said he wanted to meet Müller for the first time at the Rotterdam International Film Festival years ago and asked someone how he could find him. He was told to just go to the bar on the party boat and have a look by the peanut dispenser machine as that was Müller’s favourite spot. Jim went straight to said bar and lo and behold, there he indeed found Müller sitting by the machine, surrounded by empty peanut shells. Stills from Dead Man (1995) by Jim Jarmusch, featuring Johnny Depp. Why is Müller such a sought-after cinematographer? All four directors in the exhibition praise his unique mastery of natural lighting and he’s even been nicknamed the Vermeer of the film industry for that very reason. Unlike so many cinematographers, Müller doesn’t use any artificial lighting and only utilises natural resources. He has said in interviews that he doesn’t want to perform any ‘camera acrobatics’, meaning he doesn’t want to perform ‘tricks’ and apply certain techniques to shoot a film, but instead creates true art, like a painter, that complements the story. Müller has received many international awards for his works and deservedly so lifetime achievement awards in recent years. Postcards from Emily Watson and Lars von Trier to Robby Müller thanking him for the great work on Breaking the Waves (1996). Note the special drawing by Emily Watson on the right. Wouldn’t you agree with me that The Revenant (Alejandro G. Iñárritu, 2015), Gravity (Alfonso Cuarón, 2013) and The Tree of Life (Terrence Malick, 2011) are some of the most visually stunning and memorable films of recent years? We’ve got Mexican director of photography Emmanuel Lubezki to thank for these cinema gems. According to IMDb he has worked on over 40 films as a cinematographer, including Burn After Reading (Coen brothers, 2008), Birdman or (The Unexpected Virtue of Ignorance) (Alejandro G. Iñárritu, 2014), Children of Men (Alfonso Cuarón, 2006), Ali (Michael Mann, 2001), Meet Joe Black (Martin Brest, 1998), Y Tu Mamá También (Alfonso Cuarón, 2001) and Sleepy Hollow (Tim Burton, 1999). Quite an impressive list! Are you also such a big Coen brothers fan? Besides their quirky stories and characters, all their films have a specific stunning look in common and the man responsible for most of their films is English cinematographer Roger Deakins. He first worked with the Coen brothers as a cinematographer on their 1984 film Barton Fink, and continued their collaboration with the films The Hudsucker Proxy (1994), Fargo (1996), The Big Lebowski (1998), O Brother, Where Art Thou? (2000), Intolerable Cruelty (2003), The Ladykillers (2004), No Country for Old Men (2007), A Serious Man (2009), True Grit (2010) and Hail, Caesar! (2016). Besides these classics, Deakins has also worked on The Shawshank Redemption (Frank Darabont, 1994), often cited as one of the greatest films in cinema history, but also The Village ( M. Night Shyamalan, 2004) and Skyfall (Sam Mendes, 2012). He’s currently working on the untitled sequel to Blade Runner, which is his third collaboration with my new cinema hero Denis Villeneuve. I wonder what Wes Anderson films would look like without cinematographer Robert D. Yeoman, who has worked on all the Anderson feature-length films (that is, the ones with actual people starring in them). Other films in his impressive portfolio include Bridesmaids (Paul Feig, 2011), Whip It (Drew Barrymore, 2009) and Dogma (Kevin Smith, 1999). The list of cinematographers in this post cover just a fraction of the visionary men and woman from past to present, but with this article I wanted to make you aware of the crucial role of the cinematographer. In all fairness, I hadn’t really ever considered this until I went to see the exhibition on Robby Müller in Amsterdam. As with all previous EYE shows, this exhibition inspired me to (re-)watch so many great films, but from now on I will pay extra attention to the name on the credits for the cinematographer. 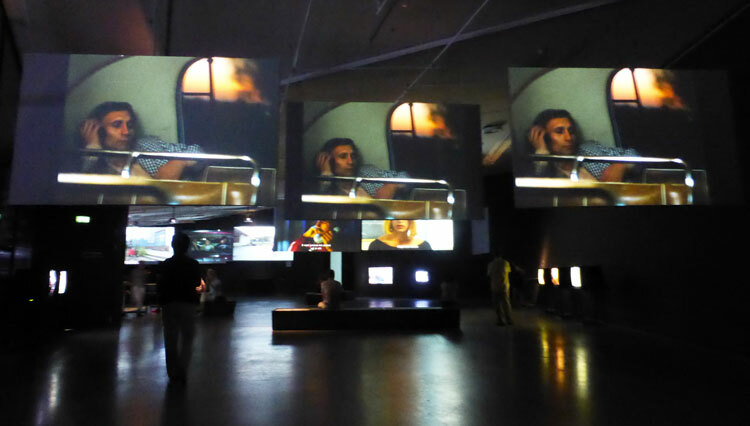 The exhibition ‘Master of Light – Robby Müller at EYE film museum‘ closes on Sunday 4 September. On the closing day Wim Wenders will be present for a one-off screening of his digitally restored film Until the End of the World (director’s cut) followed by an interview between the filmmaker and film journalist Dana Linssen. Click here for more information on the event. Please share your thoughts on this post in a comment below. I’d be happy to hear from you! Posted in film and tagged amsterdam, arthouse cinema, best cinematographers, cinema, cinematographer, Coen brothers, director of photography, Emmanuel Lubezki, EYE film museum, film, Jim Jarmusch, Lars von Trier, movie, Robby Müller, Robert D. Yeoman, Roger Deakins, Steve McQueen, Wim Wenders. Bookmark the permalink.